For seniors planning a move to or from Virginia Beach, hiring a professional mover you can trust is the first step toward having a safe and stress-free move. At My Guys Moving & Storage, we have been moving seniors and their families for more than 25 years, and we have developed a special package of services that is specifically designed to make your relocation efficient and stress-free. We understand that moving at this time in your life can seem tricky, but that’s where we come in. We’ve helped move hundreds of seniors into retirement communities, apartments, smaller homes for downsizing, or into the home of a relative. Our professional senior movers will guide you through each phase of the moving process, ensuring all of your belongings arrive safely at your new home. In order to provide the exceptional service we are known for in Virginia Beach, we go to great lengths to protect your home and belongings throughout your move. All doorways and floors will be protected with extra padding and rugs to avoid any skid marks or nicks. We also put our decades worth of packing and loading experience to work, making sure all of your valuable belongings and family heirlooms are handled with extreme care. Many seniors prefer to downsize when they move. All of your kids are out on their own and may even be parents themselves. You don’t need as much space anymore, and downsizing will cut down on the amount of housekeeping work as well. While preparing for your move, you are sure to find plenty of things that you no longer need or want. We will help you downsize and get rid of those unwanted items, making for a more efficient move. We also offer long-term and short-term storage for any items that you may no longer have room for at your new home. Our warehouse is climate-controlled and is the perfect safe place to keep things, like extra furniture, until you can make other arrangements. Donating your things to a local charity. Throwing away items that can no longer be used. 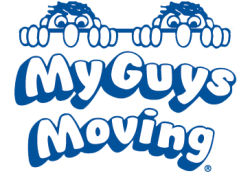 My Guys Moving & Storage would love to help you with this transition in your life. Moving to a new home should be a time of excitement and optimism and we will make that a reality by shouldering all of the heavy lifting for you. For senior movers you can trust in Virginia Beach and Richmond, contact us today by filling out our form for a free in-home quote.